Most developed countries begun to legislate a 10 per cent share of renewable energy in transport by 2020. Member States’ renewable action plans foresee that over 90 per cent of the target will be met using conventional biofuels, while advanced biofuels derived from waste, residues and lignocellulosic material are given little consideration. The sustainable mobilization of agricultural residues and processing into advanced biofuels offers both risks and opportunities for the environment. It offers the opportunity to reduce the dependence of conventional biofuels, which are associated with certain environmental risks, and offers farmers an opportunity to diversify their income, whilst contributing to the realization of the bioeconomy. At the same time, the increased use of straw is not without (potential) environmental costs, the most problematic aspect being its impact on soil carbon. 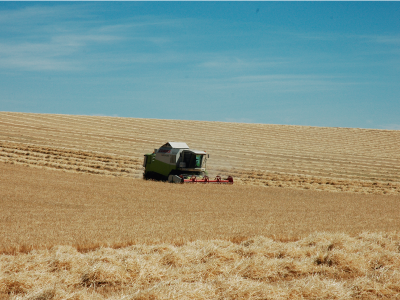 Several LCA studies concluded that there are significant benefits of straw use for energy in terms of global warming and use of non-renewable energy. Straw is now used also in the pulp industry with significant contributions to highly economic competitive production systems with a strong sinergy with bioenergy applications.